This year, I'm attempting to really acknowledge and be aware of my spending habits. I've started visiting /r/MakeupRehab and /r/PanPorn on Reddit and logging my empties on a spreadsheet so that I can track my "Reverse Rouge" progress. I found about Reverse Rouge through Reddit and it's basically using up $1000 worth of product. There weren't really strict rules, but I took inspiration out of this and tweaked it to my preferences. Everyone's situation is different and so I really wanted to tailor this to what I wanted it to be especially since I knew if there were too many rules or strict, I would 100% give up after a few weeks. I'm also tracking my spending on the same spreadsheet but on a different tab, but that's a bit harder since I usually lose my receipts before I can add the items I've purchased. I'm counting "free" products like GWPs / samples and PR samples with corresponding prices. For GWPs / samples, I'm calculating the dollar per ounce using the full sized product and then using the full list price for any PR Samples. Since I can't remember if I bought something on sale or if I used Ulta points or whatever to purchase something, I am going to use the full list price. To calculate the total price I've used up, I used a sum formula on the "Purchased Price" column. I'm planning on combining my empties with my Reverse Rouge updates into one post and will probably do an update once a month if I have at least 5 products to talk about. After showing the sample empty (like Boy Brow) multiple times, I'm only going to show it on the spreadsheet and not the empties post. The Glossier Boy Brow is hands down my favorite brow product ever. It doesn't completely hold my weirdly long brow hairs up, but it addresses everything else I want from a brow product. It's a light mousse / pomade formula that tints my brows and fluffs them up a bit. I do have a decent amount of brow hairs though and so the tint and hold from this product is perfect for me. I've used up two of their skincare products as well - Super Pure and Invisible Shield*. Super Pure has worked so well on my skin! I thought it was doing nothing for me and was expensive compared to other Niacinamide products, but then I stopped using it and immediately saw a difference. Super Pure has helped so much with my redness and I see myself continually buying this product. For Invisible Shield (review here), I don't have super strong feelings about it. It's good and works for me, but I also have other SPFs that are more affordable with higher protection. I might repurchase it, but I'm not in a rush to do so since summer is coming up and I'll need higher SPF. The Tatcha Violet-C Radiance Mask is one of the few masks that gave me immediate results. I haven't had the same reaction as the first time I used it, but it still gives me such great results that I purchased the very expensive full sized tub when I ran out of the sample. It brightens up my skin and I looked like I was literally glowing after using the mask. 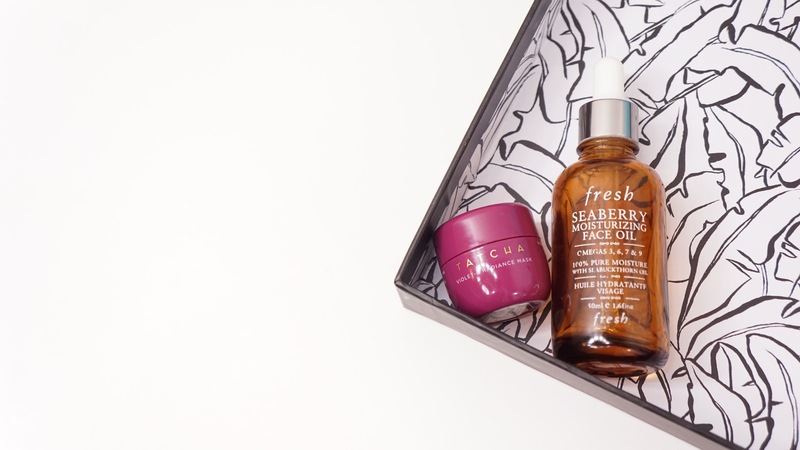 Another skincare item I used up was the Fresh Seaberry Moisturizing Face Oil and this is my second full sized bottle. Each bottle lasts about 1 full year of using ~4 drops every night and maybe 1 drop every once in a while in the mornings. I absolutely love this facial oil, but the effects have plateaued for me. It still feels great and makes my face feel wonderful, but I used to wake up very glowy and dewy using this oil and now I just look "normal." I'm now onto a new facial oil, but I will still always recommend this product because of the amazing effect I used to get. 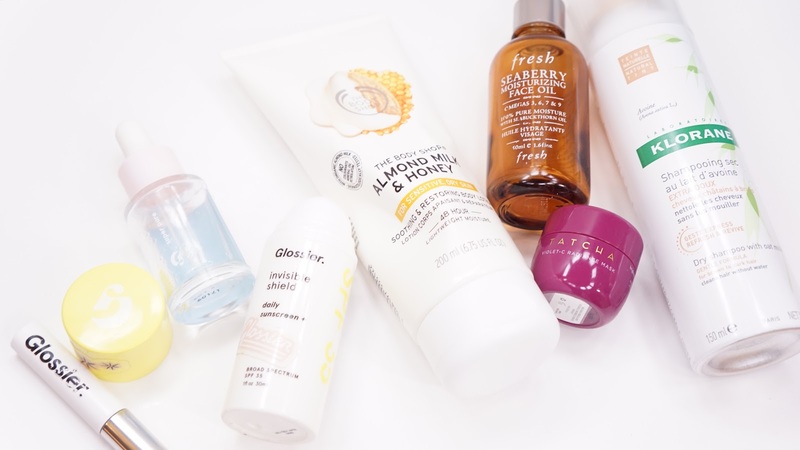 I have sensitive legs and eczema patches and when The Body Shop released the Almond Milk & Honey Collection, I immediately purchased the lotion, body butter, and shower cream. I prefer using the body butter, but the lotion was on sale in some sets and so I purchased some for when I wanted a slightly thinner formula. There's not much to say about body lotions, but I will say that this is one of the few formulas in general that has helped with my dry and itchy legs. 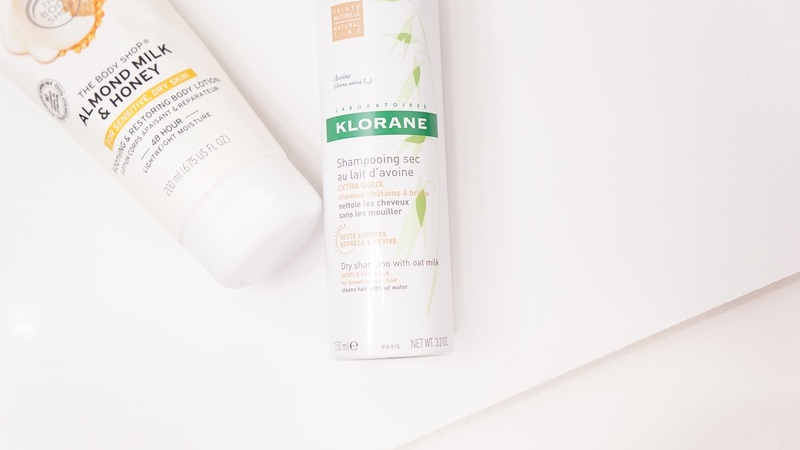 I'm surprised at how much I spend on the Klorane Dry Shampoo with Oat Milk (Natural Tint), but it's one of the best dry shampoos I've tried. I thought they were basically all the same until I tried this formula. I barely feel it in my hair and doesn't give me the same helmet head feeling some other brands do. It's one of the products that show up half off during Ulta's hair events and so I always make sure to pick up a couple to last me until the next sale. What products did you finish? Are you also doing Reverse Rouge? *Invisible Shield was gifted to me for reviewing purposes. 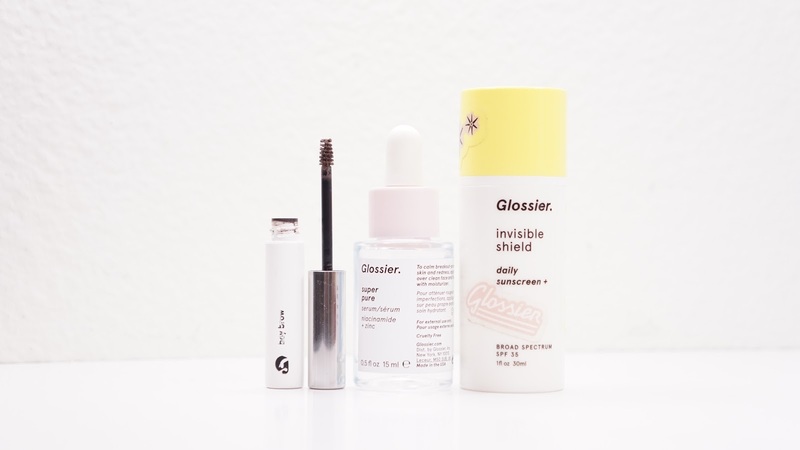 I am a Glossier Rep, but I was sent this product (for free) before being a Rep.